Duncan Scott won four medals in the Tollcross pool. Picture: Getty. Earlier in the summer it was difficult to predict how successful the combined European Championships, with the majority of action set to take place in Scotland under the banner Glasgow 2018, was going to pan out. The concept was fairly easy to grasp. Seven sports, all set to have their Euros this year, came together to hold them in tandem in one city and create a kind of ‘mini Olympics’. Oh, but the track and field would be in Germany, plus a new team golf event in Gleneagles and the diving would be in Edinburgh. But apart from that, simple. A couple of months ago Wimbledon was sucking up the small amount of sporting oxygen left behind by the best football World Cup in decades, before the Open golf at Carnoustie followed soon after. 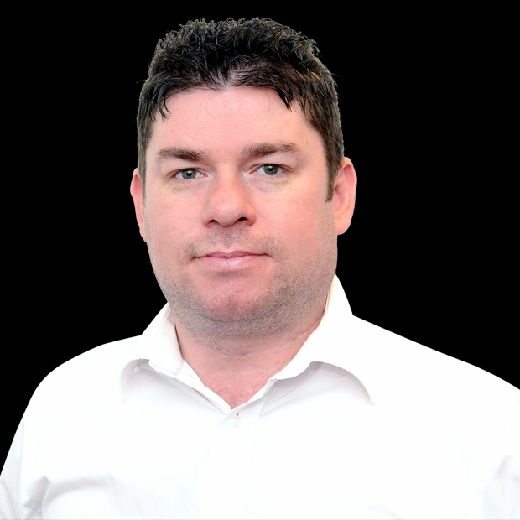 Publicity was not exactly flowing freely for Glasgow 2018, although locals and visitors to the city would have seen the billboards and branding emerging over the summer and George Square being transformed into what would be a hub for the 11 days of competition and the cultural events that would run alongside. Ultimately, things fell into place and organisers have been reflecting on what they consider to have been a huge success for a new innovation which was driven by what turned out to be an enjoyable and varied feast of some high-quality action across the numerous venues. Sports will revert to separate Euros in two years, with athletics in Paris for example, but the plan now is to hold this combined event every four years, with the 2022 host city, co-host cities or region set to be revealed in March 2019. It would be a stretch to say Glasgow was gripped by a fever. There were grumbles about road closures and the Commonwealth Games 2014 this most certainly wasn’t, but nor did it ever claim to be. There was, though, an undeniable buzz and good crowds creating excellent atmospheres at the three main arenas in the city – Tollcross for the swimming, the Sir Chris Hoy Velodrome for the track cycling and SSE Hydro for the gymnastics. The Glasgow-hosted events saw 138,000 tickets sold, with tens of thousands more lining the streets for the road cycling and triathlons. European Championships for these sports can often be viewed as second or third rate when compared with world championships and Olympic Games. This coming together certainly provided the big-profile boost which lay behind the initial idea, with, in the UK, extensive and peak-time broadcast coverage from a BBC team of enthusiastic and knowledgeable presenters and commentators who have become a finely honed machine when it comes to these multi-sports events. There is no doubt that having the track and field in Glasgow too would have lifted things to a whole new level. Many commented after the Commonwealth Games that Hampden actually makes for a much better athletics stadium than a football one. Like four years ago, though, that would have been a major and time consuming refit job and, in any case, Berlin had already been awarded hosting rights by European Athletics back in 2013. Nobody could quibble with Berlin’s magnificent Olympiastadion as a venue, however, steeped in history as it is from Jesse Owens’ heroics at the infamous 1936 Games, through to the memorable world championships of 2009 which included the epochal 9.58 100m world record of Usain Bolt and a breakthrough first global title for Jessica Ennis. Big crowds in an iconic stadium proved the perfect backdrop to an excellent week of athletics, which the American great Michael Johnson admitted on the BBC had well surpassed his initial expectations in terms of quality considering the absence, for example, of American and Caribbean sprinters and the African distance runners, or at least those who haven’t been lured to switch allegiance to European nations. Great Britain’s Dina Asher-Smith made history with a sprint treble which was made up of world-leading times in 100m, 200m and 4x100m, while the 1,500m-5,000m double achieved in less than 24 hours by the Norwegian 17-year-old Jakob Ingebritsen, who didn’t appear to break sweat or draw breath, is the best athletics story of the post-Bolt era. 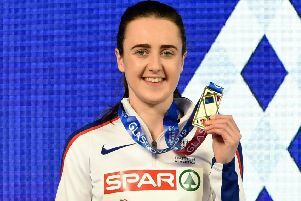 Scotland’s Laura Muir ticked another box on what is hopefully the road to global success as she scored her first major outdoor gold medal by winning the women’s 1,500m just before Eilish McColgan took silver in the 5,000m. Eilidh Doyle may be approaching the end of her career at 31, and had a disappointing individual 400m hurdles final on the back of a less than perfect season, but proved she is still podium class as she calmly anchored the women’s 4x400m GB team home to bronze. It was her 11th major outdoor medal and stretches further her status as Scotland’s most decorated track athlete of all time. trials as a major achievement. Glasgow will get a taste of major athletics in 200 days’ time when it hosts the European Indoors at the Emirates early next year. Back in Scotland, there were more golden moments for home crowds to savour. Duncan Scott continued his emergence as Scotland’s most exciting swimmer since David Wilkie with a truly brilliant 200m freestyle victory from the outside lane eight to add to a silver in the 100m and a couple more relay golds as part of an exciting Great Britain team led by the peerless breaststroker Adam Peaty. At the velodrome, Katie Archibald, who had recovered from a broken collarbone as recently as May, won team pursuit gold and yet, after ending her programme with two more silvers in omnium and individual pursuit and a fourth in the Madison, exuded disappointment on the final day, revealing again a victory or nothing attitude which marks out the truly special athletes from the merely talented. There was also a glorious home city gold for Grace Reid in the 3m springboard at the Royal Commonwealth Pool in Edinburgh. Eight years on from her major debut for Scotland as a 14-year-old in Delhi, Reid continues to impress greatly both on the board and out of the water. the TV interview after heartbreak in the women’s synchro 24 hours later. Her partner Kat Torrance was too upset to face the cameras after her calamity in the final round saw the Brits drop out of the medals completely when gold had seemed certain. The Scot’s eloquent expressions of compassion, understanding and encouragement for her distraught English team-mate saw Reid very much live up to her Christian name. At the halfway point of this Olympic cycle, Muir, 25, Scott, 21, Archibald, 24, and Reid, 22, will now step up to test themselves in world championships next year – athletics in Doha, cycling in Pruszków, Poland, swimming and diving in Budapest. In two years this young exciting Scottish quartet should be at the peak of their powers and, hopefully, ready to deliver career-defining performances in Tokyo.